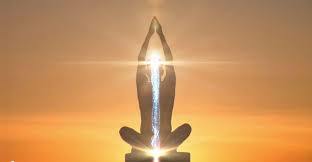 Rising Kundalini energy can be a daunting experience that I experienced in March 2011. When my Kundalini energy rose, I experienced a surge of energy move up my spine from my sacrum, and once the energy is raised, it remains active within our energy fields. This energy rising can make our emotions feel chaotic and out of control. What the energy is doing is pushing through your emotional body all the blockages caused by unresolved emotional traumas and/or issues. As my energy rose in March 2011, I began to re-experience the traumas of my past and felt these emotional injuries very acutely as if I was reliving it in the present. The lenses of my experience was that of a child victim as my traumas occurred during my childhood. I began to become very emotional and sensitive as all my emotions rose to the surface of my awareness, and it felt very overwhelming. Please see my earlier post on Understanding How We Deal with Emotions. Our illnesses or conditions, both emotional and physical become more intense and acute, and fears on all levels will surface to our full awareness. The first step is to cope and deal with the fears that are mostly perceived and triggered by our past experiences. Please see my earlier post on Steps of Overcoming Fear. This fear is caused by our egos that is triggered by a current event, and is intensified by the Kundalini Energy. Please see my earlier post on The Effect of Ego on Perception.